Awesome thats what I thought. Thanks OD I appreciate it man. I knew about the spade connectors popping into the pdc so you might be onto something and I might look into running a relay. Still open for any input but thanks for the idea. D-Railed_Neon wrote: bump to revive. I have an 03 that came without fogs but last time I was under the car i believe I saw two connections where the fogs would go and a harness covered in the black plastic cable protector. Does anyone know if the 03s came with the harness regardless of whether or not it came with fogs? Will it be a simple plug fogs in, switch MFS, and insert proper fuse, or do I have a bit of jimmy rig wiring to do? Here's what I know.... And I was surprised when I just read through this since I've added oem fogs to 2 non fog neons now and it was MUCH simpler than this kit. That said, both were 03+ like yours. It's a simple procedure. Install parts, check your fuse box to make sure fuses are in there for the fog lights, turn your headlight switch on and pull the dial out away from the stalk and enjoy your fog lights! awesome. I know the bulb connector is the same for all 2gns. The car is an 03 but i will be running an 02 front end and fogs. I will be purchasing the bumper, both fogs, and a 04 MFS with fog option in the next two weeks. So id sounds like I should just need the 03+ fog light wiring pigtail and I should be good to go.....right? If you're running 02 front end, then you will want an 02 or earlier fog light harness then. The difference is at the plugs for the fog lights. 02 has different connectors than the 03 so if you get the wrong year harness you will have to wire new ends on to match your fogs. sidepipe87 wrote: If you're running 02 front end, then you will want an 02 or earlier fog light harness then. The difference is at the plugs for the fog lights. 02 has different connectors than the 03 so if you get the wrong year harness you will have to wire new ends on to match your fogs. OK so I will need the 00-02 fog pigtail harness but, everything else in my list should be pretty much plug and play then? which ones will look better? If you're wanting HID foglights, you'll have to run a relay harness. I upgraded my foglights to HIDS and ran a relay harness as an extra bit of security. Any kind of universal foglight will work, but if you're wanting to run HIDS, the relay is always a good idea. 1 or 2 relays harnesses for the heads and fogs? Most HID kits come with the bulbs, ballasts and harnesses. 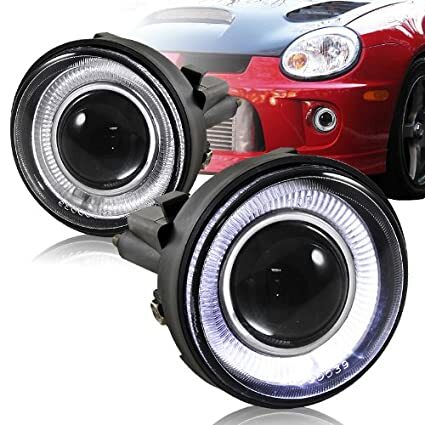 You will need to retrofit HID projectors into your headlights to do the headlights correctly. Depot projectors will work, but are not 100% correct for HID's but are a much better option (for oncoming traffic) than just putting HID bulbs in your factory style incandescent housings. And just a tip: The bluer the light, the less real visibility you will have. If you really want better lighting, stick with 4000 to 5000 kelvin. If you don't care about visibility, and just appearance, then do what you like. Just don't put HID bulbs in your factory style incandescent housings. If you can't afford new headlight housings, then please do not HID bulbs in your headlights. The projector fogs are fine, as they have a cut off for fog use. occasional demons wrote: Most HID kits come with the bulbs, ballasts and harnesses. 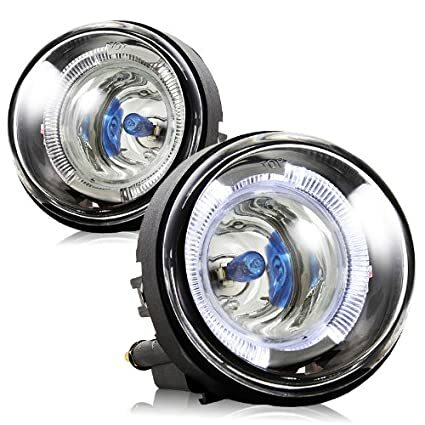 You will need to retrofit HID projectors into your headlights to do the headlights correctly. ok, but how many harnesses will i need 2? 4 ballasts and 2 relays? If you buy a kit, (Recommended here) the harness and everything else will come with. You may need to do some tweaking of the wiring, as some harnesses aren't correct, IIRC from some of the HID threads. You can buy better bulbs later, as I have heard that the bulbs that come in the kits are not always the best quality depending on what you buy. But they will work to get the bugs ironed out. But the cheap ebay ones will work, and they will give you some kind of experience, so if you move on to better things, you won't be totally clueless. Look at it like a cheap education. Why is this? eBay isn't a brand. Buy the same brand crap you were going to buy anyway, just get in on eBay and save a few bones. I would buy from ebay long before buying from Amazon. There is no incentive for Amazon sellers to get stuff shipped in a timely manner, and my past experience from Amazon sellers backs that one up 100%. 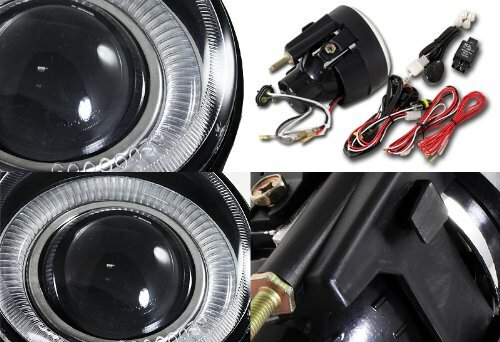 But since this is about fog lights, back to the topic.... /rant. If said friend is still available, buy what's needed, and have them verbally guide you with the install, instead of having said friend do it.